This is a folk song that goes back a lot further than most folks would suspect. In fact, it goes back so far that nobody really knows who actually wrote it. It has been recorded by all kinds of artist including the likes of Clarence "Tom" Ashley, Gwen Foster, Roy Acuff, Ivy Smith, Texas Alexander, and a British band called The Animals. 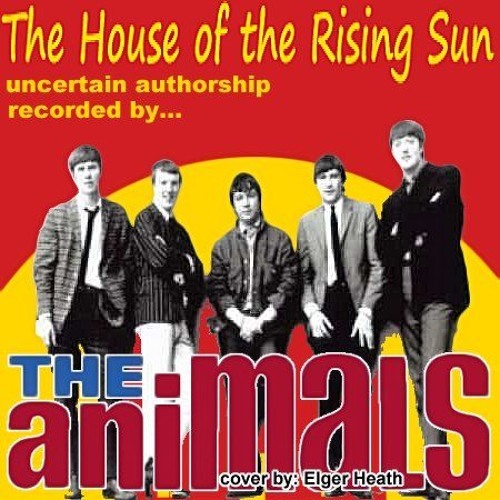 It has a very 70's sound to it, but it was recorded back in the early years or recordings under the title “The Rising Sun” The version I am most familiar with would be by The Animals but my version is slightly more free formed. This is a tune that almost everybody is familiar with and is fairly simple to play except that it utilizes a lot of the minor chord styling. Still it's simple to learn and I'd be surprised if you didn't already know, at least, some of the lyrics by heart. Here is my simple cover of “The House of the Rising Sun”.